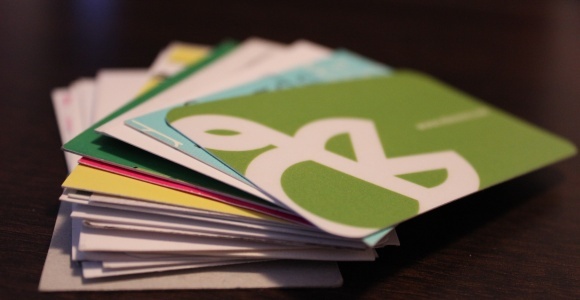 One of the most common processes when meeting business people is the moment when you exchange business cards. And while you get back to the office, the office desk just keeps getting filled up with paper. This is probably not the most pressing problem of Kosovo, whose 45 percent of workforce is unemployed. Yet Berthama, is trying to solve the problem within its reach having created visitkard.com. The company offers its users to create a virtual business card, filled with official information and that is publicly available for anyone. The platform has just launched, and will also offer its users an online wallet where they can store business cards of clients, colleagues, co-workers or others that also have an account on visitkard.com. Berthama, is also developing a mobile application for the platform. It could potentially turn out as a process of scanning QR codes to get the virtual business cards transferred and possibly use NCF technology. Replacing printed business cards with online solution isn’t something new and a number of startups have tried different solutions (for example CardCloud or CardFlick). But Berthama has an interesting approach and they have apparently invested a lot of efforts in the platform. The platform is still on beta stage and unfortunately in Albanian only, for now. Over 5000 visitors at Webit Bulgaria in 2011. Will Webit Istanbul 2012 beat that?